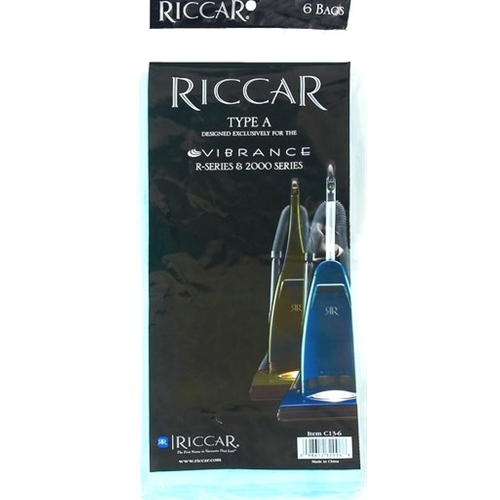 This Genuine Riccar Bag is designed for the 2000/4000 series upright Vacuums.The Ecopure brand by Riccar is 6 times better that standard vacuum bags. With 99.7 % filtration the anti-bacterial liner captures microscopic particles, germs, bacteria,pollen, spores, dust mites and allergens as small as 0.1 microns. This disposable bag is equipped with a Sure-Seal gasket bag collar for leakage protection. This bag is made in the USA. it is recommended that you change your bag when it is 3/4 full to obtain maximum suction performance.